I first met Dave back in the late 90's when I was an impressionable teenager. Dave's bands at the time, Hatred, were playing a local Roanoke, VA, dive bar (The Melting Pot) on what was probably a school night. It was the most people that I had ever seen in such a small place. Turns out, it was a Metal "fest" that I more or less accidentally showed up for. I recall his playing being unlike anything I had ever seen before. It was as if I was experiencing someone who could play just as good as those Slayer or Sepultura records a mere 20 or so feet away. It was something that I will never forget and got the ball rolling even more on my early underground Heavy Metal addiction. To make the night complete, everyone in the band, especially Dave was super humble and appreciative that I came out to see them. That genuine gratitude helped mold the way I approached being in a band later on a great deal. Coincidentally, I still have my Hatred "Suffer" demo cover on my bulletin board above my computer desk at home. Fast forward a few years later and I would always run into him at shows and the countless times I drove the 4 or so hours to the DC area to see Hatred and later on October 31 and Deceased. He certainly had his own style and was always impressive. But what was maybe most impressive was his ability to "copy" King Fowley's drum style. Those were big shoes to fill after Fowley's stroke and being a right handed drummer playing a lefties drum parts. I have probably seen those 3 bands collectively over 20 times and I don't recall Dave ever flubbing anything. He was a true perfectionist and his dedication was obvious and it was always inspiring. No matter how big the show or how trashy the dive was, Dave was always friendly and made an effort to get out to talk with people. Even though at times life would get in the way and years would pass by without making it to a show, Dave's face would always light up and shake your hand and give you however much time you wanted to talk about anything. I'll never forget being the "roadie" at times and Dave helping me sneak in to a venue because I was either too young for a 21 and up show or I either just didn't have enough money. Time goes by fast and you don't think about how precious it can all be when the partying, head banging, rehearsals, late night/early morning goof offs at Denny's/IHOP, King's house, car rides to shows or wherever the Oct 31/Deceased/Hatred crew would lead you year after year. Regardless of the people that knew him personally, Dave's recorded drumming and passion for the instrument will live past us all. 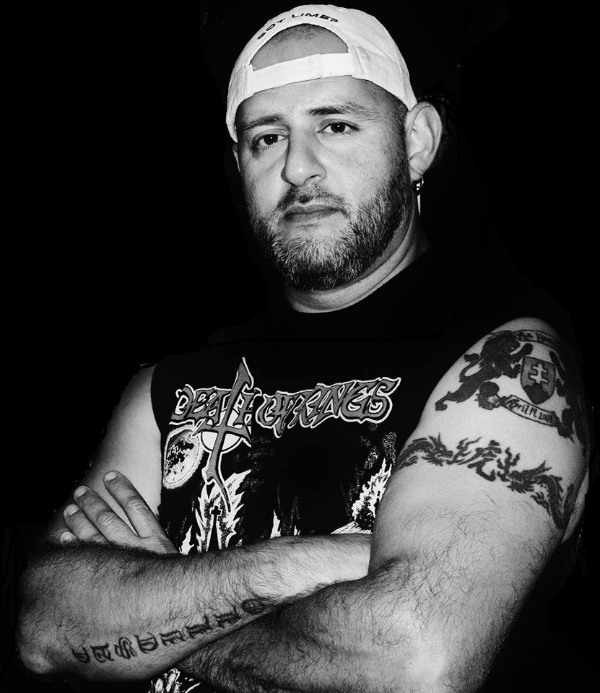 His untimely death is a stiff blow to the heart of honest underground Heavy Metal music. He will be missed dearly. RIP my friend.
. Leash Law . W.A.S.P.